We are six weeks into the school year. I always prefer six weeks of "grace" when adjusting to a new school year. The best laid plans at the beginning of the year can often go awry after just a month. 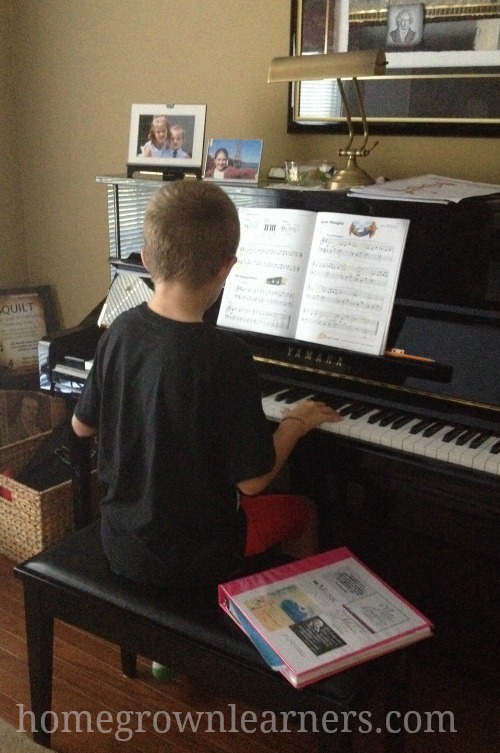 Our homeschool this year consists of two Classical Conversations students: my 9 year old son, Grant is in Foundations and Essentials. My 13 year old daughter, Anna, is in Challenge B. *For details on all of these programs, visit the Classical Conversations website. I don't claim to be an expert in Classical Conversations; I'm simply a mom sharing what works best for OUR family. I will emphasize that I believe in keeping it SIMPLE. Classical Conversations is a beautifully crafted program that needs very few additions from an over-achieving mom (ahem). If you haven't read The Core, I highly recommend you read it before you go any further in Classical Conversations. 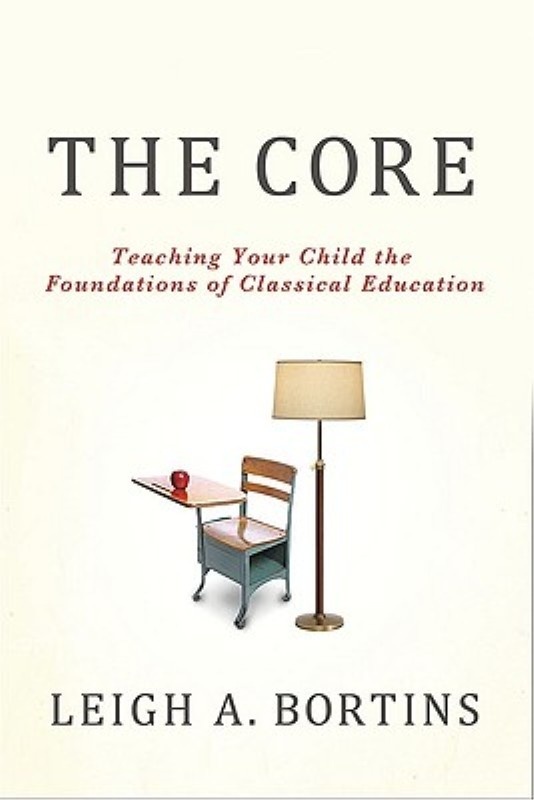 It helps bring into focus the philosophy of Classical education and might help you focus on the most important academic investments. Looking at it from the outside the amount of work we have signed up for is overwhelming. We attempt to do what we can and what my children are capable of achieving. I DO push them to excel. I DON'T believe in stressing them out in the process. We share CC's goal to "Know God and Make Him Known". I am still learning, but I feel very comfortable with our schedule this year, so I'm ready to share it with you. Keep in mind... these times are an approximation. No two days are alike in our homeschool. In our house, getting out of bed and having a consistent morning routine is crucial. 5:30-6:00 a.m. -- Mom up, showered -- I also work for an hour before my kids are up. This year we have chosen to all work downstairs. We have many homeschool spaces, but we have settled into one child working at the kitchen table while the other child is at the dining room table. 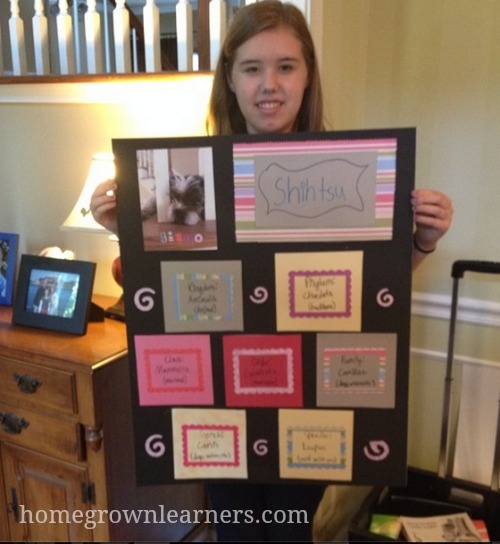 My Challenge B child needs to devote roughly an hour each day to each of her six seminars. This, of course, tends to vary. Sometimes she will devote more or less time. I don't set a timer like I have heard some Challenge parents do for their children. My Foundations/Essentials student is still very relaxed. You will see that reflected in this schedule. 9:00-10:00 - Math (I read through the lesson with my younger child and am available to answer questions during this hour for my Challenge student) *If my younger child finishes before she finishes math he is welcome to read, play LEGOS, or shoot baskets outside. 11:00-12:00 - Writing (Anna works on her Lost Tools of Writing lessons and Grant and I sit down with his IEW assignment for the week -- we only hit IEW 2-3 times per week, and since this is our first year I feel good about that. We still crave read alouds. This is my favorite part of homeschooling. Generally we take an hour (or sometimes even a little longer) for lunch and reading. Weather permitting, we sit on our deck with lunch (and popsicles!) and enjoy our current read aloud (right now it's The Witch of Blackbird Pond). I'm careful NEVER to omit this time, because it is a time for the three of us to come together, decompress, and enjoy a wonderful story. I would rather something else NOT get done than sacrifice this time. The afternoon doesn't ease up for Anna; she has more intense academics after lunch. Grant, however, can be more relaxed on certain days. 1:30-2:30 - Latin (I always sit with Anna for the full hour during Latin, because I am learning, too. During this time Grant works on whatever special project he has going on. It might be an illustation for a paper, a LEGO creation or LEGO® Education curriculum, or I might have him recreate some of the charts we are memorizing for Essentials. 2:30-3:30 - Logic/EEL (Anna is fairly independent with her Logic curriculum, but I am available if she needs help during this time. On select days I work during this time with Grant dictating sentences, doing editing exercises, and trying to have some fun with Essentials. Truthfully, many days he is just DONE with school by 2:30, so I follow his lead. I need for us to be DONE by 3:30 most days, simply because I need to work in those couple of hours before we have any evening activities. In past years I had the luxury of more time, but with the blog, my music curriculum, and social media consulting my time is scheduled tightly now. This year I have passed the science baton to dad. Science usually occurs after dinner or whenever he can work with the kids. For Anna, he is helping her with History of Science and the projects that encompasses. Grant listens in, but I am also relying on my philosophy that the memory work is enough for science this year! We have done a few things with the Magic School bus science kits, etc...., but I don't formalize science very much at this young age. Our homeschool runs smoothly when we can stick to the schedule, but you and I both know there are days when that simply isn't possible. Be willing to let go of some expectations. I love that I AM THE TEACHER in CC and can adjust the workload accordingly. Sometimes school can also be done on the weekends - not my preference, but it's good know we have that time if we need it. I think that's about it! I know you probably have questions, and I would love to hear about your CC schedules at home! Let's get a discussion going in the comments!